What is a Dump Valve (DV)? 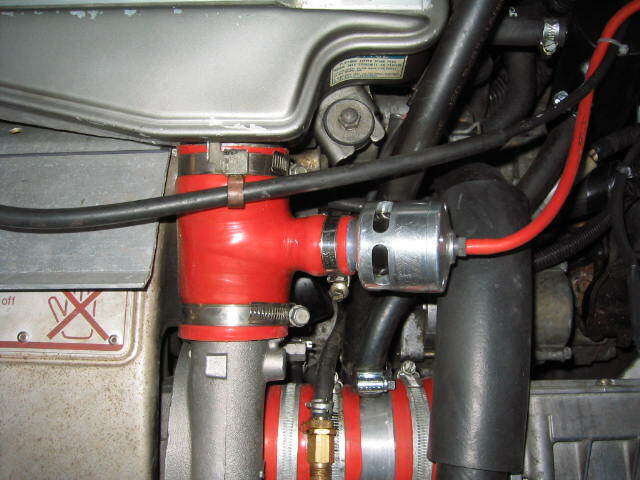 A DV is fitted after the turbo and before the throttle body. On the 165 this fits nicely between the turbo outlet and the intercooler inlet. On the 185 this can be fitted between the intercooler and turbo with the fitting kit, but there is very little room. The 205 comes as standard with a recirculating type DV. There are various replacement kits available to bolt the DV onto the side of the airbox or onto the side of an induction kit/pipe. Alternatively the stock DV mounting can be blocked off and a DV attached directly to the front of the intercooler. 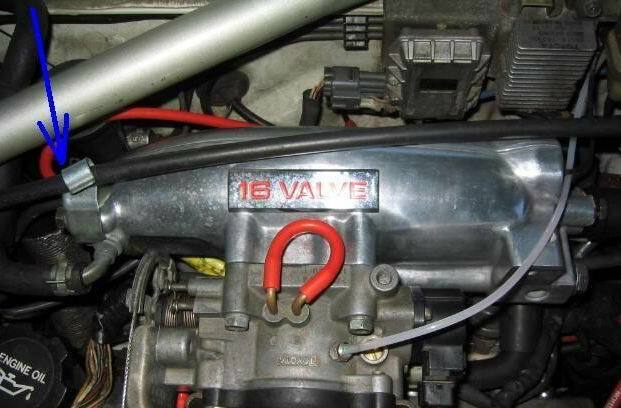 Ideally a DV should be fitted as close to the throttle body as possible. What about this "other" pipe that comes off the DV? The other vacuum pipe attaches to the cylinder side of the throttle body. 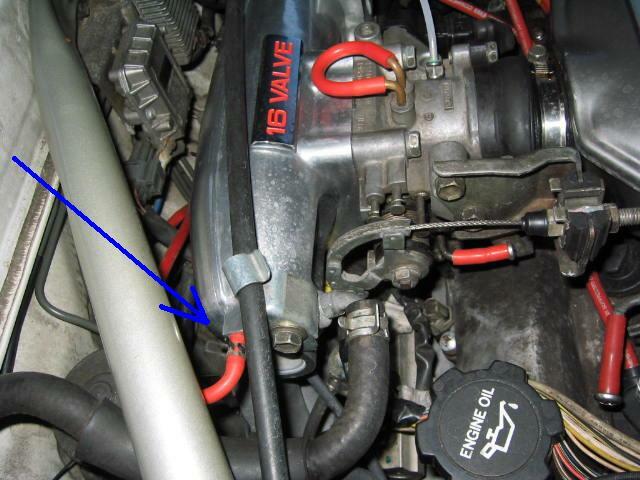 Simply connect to the unused connection on the left hand side of the manifold or use a T-piece and connect into an existing pipe. Do not connect into the FPR vacuum line. Have a look at the Boost Gauge article as you may want to do this at the same time. Other recommended DVs are the HKS super Sequential and the Blitz SuperSound - I like the Blitz, top bit of kit! All dump valves are pretty much the same. In my opinion do not get the diaphragm variant as these split. 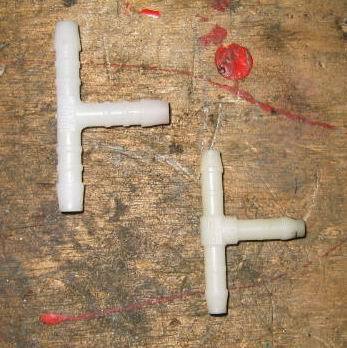 Get the Samco hose 'T-piece' to attach the DV, as shown in the left hand picture above for the 165 and 185. Bailey Motorsport can supply you with one of these in various colours. The DV26 and fitting kit is available through most dealers as a standard Samco hose T-piece.